We hope all of our friends and readers have a happy Holiday season. 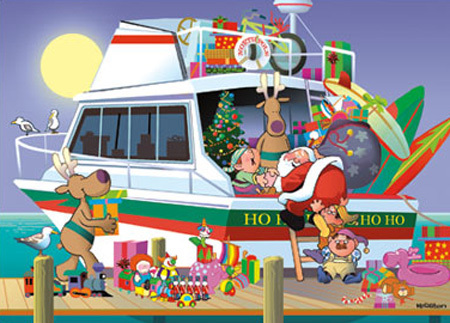 This year, we plan to spend the holiday season in northern Florida with friends and family. 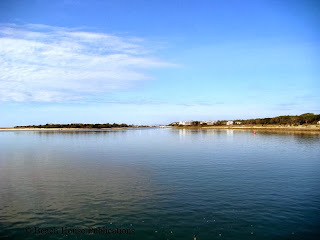 From Southport, the Atlantic Intracoastal Waterway runs along the Atlantic coast with no more than barrier islands separating the waterway from the Atlantic Ocean. There are many resort towns along this stretch and also a few inlets that need to be transited. Two of those inlets, Lockwoods Folly and Shallotte Inlet are famous for shoaling and being difficult passages. Once off the dock at around 8:30 a.m., we would transit both of these in one day before reaching our next destination at Myrtle Beach. It's always better to transit Lockwoods and Shallotte at mid-tide or higher. The temperatures were cool, but it was a bright sunny day with good conditions forecast.